Solar panels are designed to absorb sun rays to generate a source of clean, renewable energy for electricity and heating. Photovoltaic (PV) modules are typically made up of an assembly of 6x10 solar cells. 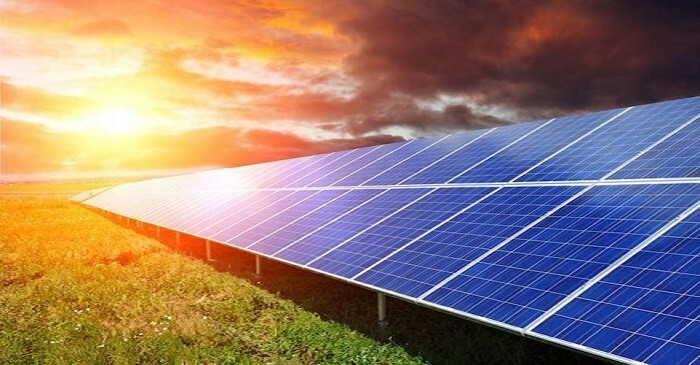 Solar Photovoltaic panels amount to the solar array of a photovoltaic system which generates and supplies solar electricity for multiple applications both commercial and residential applications. Each module is rated by its DC output power in test conditions, which usually ranges from 100 to 365 watts. The price for solar panels has become increasingly cheap to buy and use than ordinary fossil fuel electricity from the grid. Varying on the construction, photovoltaic modules can produce electricity using a range of frequencies of light, but tend not to be able to cover the whole solar range, such as ultraviolent, infrared or diffused light. By splitting the light into several wavelength ranges and directing the beams onto different cells tuned to those ranges, you are able to cover majority of solar ranges, maximising efficiency. Micro-inverted solar panels are purposely wired in parallel producing more output than the normal panels which are wired in a series with the output being determined by the lowest performing panel, known as the ‘Christmas light effect’. Those that are micro-inverters tend to work independently to ensure that each panel contributes its maximum possible output. In 2010, around 15.9GW of the solar PV system installations were accomplished and had solar PV pricing surveys and market research company PV insights reporting an increase of roughly 117.8% within the solar PV installation on a year-on-year basis. From investing in solar panels, despite the cuts by the government to the Feed-in Tariff (FiT), solar panels still deemed as very cost effective and can deliver earnings and savings of roughly £8,080 over an average of 20 years. Top achieve the best return possible it is advised that you install the solar panel as soon as possible to gain yourself the highest possible tariff. Once registered to the Feed-in Tariff you are then automatically locked in for an entire 20 year period and will receive payments, regardless of future cuts to the tariff.